Comments: Tough Tree. Well-suited to urban planting conditions. 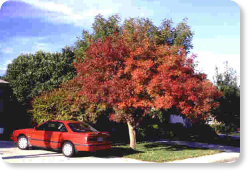 Use as screen, specimen, Street Tree, Prefers well-drained soils. Adapts to alkaline and acid soils alike. Pest-free once established. Showy Fruit on females. Showy bark.